This tasteful South Shore manufactured wood filing cabinet will keep your space tidy. The manufactured wood of this cabinet ensures that your documents and other important papers will be secure and organized. Organization or paper clutter in your home or office is easy with this filing cabinet. Also available in Pure White, Royal Cherry or Pure Black finish. The back surface is not laminated. Accessories not included. Manufactured from certified Environmentally Preferred laminated particle panels. Complete assembly required by 2 adults. Tools are not included. The trendy and industrial look of this 3 drawer filing cabinet on 5 castors will bring a stylish dimension to your office space. Add this multi-functional filing cabinet, finished in a chic grey wood grain look, to any desk or table to create more storage. Accented with simple modern black handles, the top two drawers are useful for files, papers or books while the bottom drawer can fit standard or legal sized hanging folders. Whether tucked under a desk or placed on the side for a printer, books or other decorative items, this filing cabinet will be the little extra you needed in your work area. This elegant Nexera manufactured wood filing cabinet will compliment any office with style and function. Keep your classified papers tidy and secure with this cabinet made out of manufactured wood. Free your home or office of paper clutter and get more organized by storing it all in this filing cabinet. This manufactured wood cabinet from Nexera is a handsome way to add elegant storage to any space. Look no further than this cabinet made out of manufactured wood to keep your important documents neatly stored and secured. File those pesky, cluttering papers away in this filing cabinet. Perfect for your office, this manufactured wood filing cabinet from Nexera will keep your affairs in order. Safety and organization of your important documents are insured with this cabinet made out of manufactured wood. This handy filing cabinet makes it easy to free up your home or office from paper clutter. Freeport 23.5-inch x 29.37-inch x 19.5-inch Manufactured Wood Filing Cabinet in Brown This tasteful South Shore manufactured wood filing cabinet will keep your space tidy. The manufactured wood of this cabinet ensures that your documents and other important papers will be secure and organized. Organization or paper clutter in your home or office is easy with this filing cabinet. 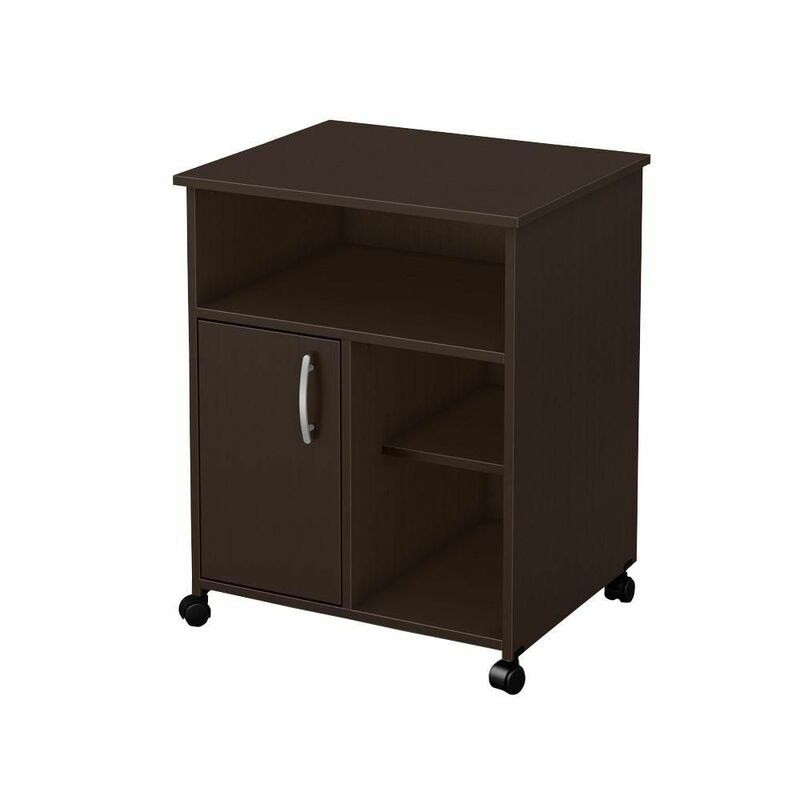 Freeport 23.5-inch x 29.37-inch x 19.5-inch Manufactured Wood Filing Cabinet in Brown is rated 3.8 out of 5 by 4. Rated 1 out of 5 by Owen from Workmanship Got Product delivered from UPS Delivery was perfect but when i open box the company send me broken panel and top damaged from factory. Tried my best to make it work. I feel I got taken on this purchase. Could have a bought a used that would have looked better. Rated 4 out of 5 by MarcD from Very good quality for the price. Better made, and better instructions, than most un-assembled furnitrue of this type. A really nice piece of furniture. Rated 5 out of 5 by Rosellen from Very easy to assemble and very sturdy The printer stand was very easy to assemble and well made. It also is very sturdy. Love the color chocolate. It has storage and shelves.